Webster's Dictionary defines science as "the state of knowing : knowledge as distinguished from ignorance or misunderstanding". We use the scientific method "for the systematic pursuit of knowledge involving the recognition and formulation of a problem, the collection of data through observation and experiment, and the formulation and testing of hypotheses". In other words the entire purpose of science is to test and re-test ideas to see if they are most likely true or false. The only purpose that science has is to find the truth and through science we have found ways to help us living longer healthier lives. Many people feel that the new administration is failing science by denying many of the truths that they have discovered, tested, and retested over and over again. They are concerned that instead of moving forward we are moving a few steps backward and hurting all of us in ways that may be irreparable. The biggest concern for many of us is the administration denial of climate change, but there are a lot more issues that concern us. To learn more about the scientific communities concerns with the Trump administration you can visit this website. To show their opposition to the new approach to science that the Trump administration seems to be taking, the scientific community is calling for a National March for Science on Earth Day this Saturday, April 22nd. To help stand up for the rights of mother earth people will gather in cities across the US. They will gather in Washington and right here in Detroit. If you would like to be part of the march you can meet like minded citizens downtown at Hart Plaza at 1 p.m. this Saturday. There will be variety of speakers at the event, including U.S. Congresswoman Brenda Lawrence. 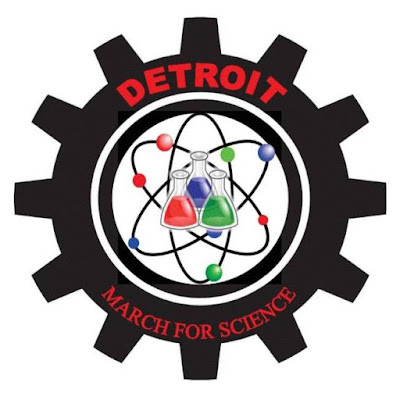 To sign up for the march and learn more about the gathering in Detroit please visit their website here. This weekend's march is the next of many that have been taking place since President Trump took office in January. If you want to show the world that America's care about science and the impact that we are having on our environment join them in Hart Plaza this Saturday!